Thank you to everyone who entered the chicka-d giveaway! This was one of TSR's most popular giveaways and it's easy to see why. 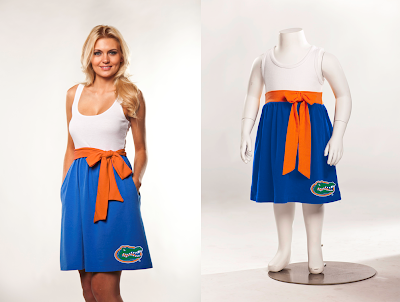 These dresses are the perfect way to stay cool and comfortable on game day while expressing your personal style. Congratulations, Rebecca! You'll receive an e-mail shortly with details about how to claim your dresses. TSR would love to see a picture of you and your little fan wearing them on game day! You can view more of chicka-d's collection and find out where to buy at chicka-d.com.